Cryptocurrency prices have been in red since morning. Starting with Bitcoin, almost every cryptocurrency is bleeding out. This is irrespective of the fact that the crypto news regarding developments have been positive for a while now. The market is bleeding out and the price of Tron Trx isn’t left behind. Tron is down against the USD and against Bitcoin. 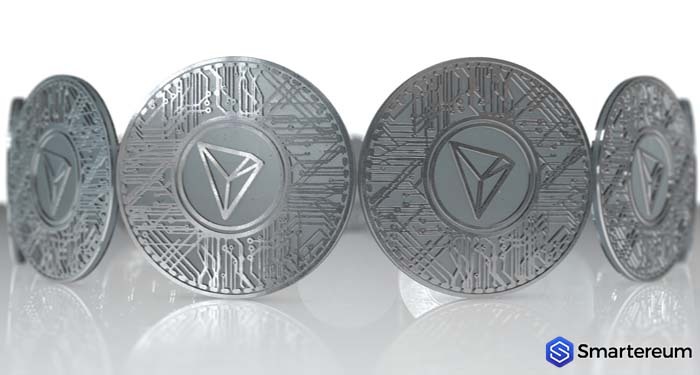 However, the Tron Trx news today is about a Tron price prediction on CryptoNewz that encourages investors to take advantage of the low price and accumulate Tron Trx tokens. The current price of Tron Trx is perfect for investors who are interested in making long-term returns but it would require a lot of patience. Tron is a smart contract, dApp enabled platform just like Ethereum. In fact, the founder of Tron, Justin Sun, has made it his life’s mission to make sure that the Tron blockchain overtakes Ethereum and becomes the foremost decentralised computer in the world. According to our previous Tron Trx news, there have been many promotions and incentives put in place to ensure that the Tron blockchain becomes number one and the Tron community becomes the largest decentralized community in the world. The Tron Foundation and Justin Sun have made many efforts to make sure that this dream become a reality and one of them was the acquisition of BitTorrent. While Ethereum is still the preferred network by developers with about 50% of the total number of dApps in existence being hosted on Ethereum, new research has shown that developers are beginning to migrate to platforms like Tron and EOS. More significantly, creators of gambling related dApps prefer to host their apps on the tron blockchain instead of Ethereum. However, a lot of work still needs to be done if Tron is to take Ethereum’s place in the dApp world. If this happens, the price of Tron is going to surge significantly against the USD. The price and market capitalization of Tron is higher within the last 7 and 30 days. However, within the last 24 hours, Tron has been bleeding out. At the time of writing, Tron Trx price was $0.026193. This shows that it is down by 14.17% against the USD and down by 10.17% against BTC. The trading volume over a 24 hour period is $544,374,344 and the market capitalization is $1,746,590,484. Since the start of the cryptocurrency bull run, the price of Tron has moved up by 27.55%. Even if Trx is still far away from its all-time high, analysts have predicted that it is going to rise by 554.99% by the end of the year 2023. Before the end of 2019, the price of Tron Trx is expected to be up by 23.07%. So, if you’re interested in the TRX token, you should consider buying now that the prices are low so you can make a profit later. Even if the price of Tron Trx is currently in red, it presents the perfect buying opportunity for investors as the long-term prospect is amazing. What do you think about the Tron Trx news today? Will the price of Tron recover against the USD anytime soon? What’s your own Tron Trx price prediction.